As consumers in a “developed” nation, most of our goods are produced overseas. Fair trade targets these exports from developing countries to North America and Europe. 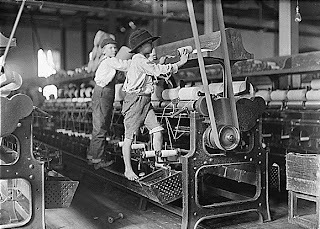 As a parent, I become especially appalled when I hear about products manufactured by children in unsafe working conditions, such as Gap Kids clothing made by children in third world countries. Fair trade certification gives the consumer some peace of mind that children were not exploited in the production of the goods they are purchasing. Fortunately, fair trade is moving beyond coffee, chocolate, and tea to encompass toys, sports equipment, musical instruments, clothing, etc. for children. If you would like to read more, including links to fair trade curriculum for parents and teachers, please visit my post on GNM Parents: “A Little Greener: Fair Trade Alternative & Kids”. THANK YOU for this post. It is so important and often so overlooked. THANK YOU THANK YOU THANK YOU! World Diabetes Day and a Moment of Outrage: Pfuck Phiser?